Ted Bishop was likely the victim of a coup, not of his poor social media judgment. When Ted Bishop was only 29 days away from finishing his term, a lightly read pair of Twitter and Facebook posts that insulted only Ian Poulter forces the PGA to act emphatically and immediately to sever ties with a leader that moved the sports and organization forward in all regards. A lifetime of work being a champion for women and minorities in the game of golf is immediately washed away, and replaced by a Fuzzy Zoeller-esque stigma of narrow mindedness because of righteous indignation over a tweet and Facebook post offensive only to those with skin of tissue paper? I know nothing of the inner workings of the PGA, but I know when silly men and women flex their muscles to leverage an unfortunate choice to advance their agenda to remove a very visible leader. Power is coveted, and the crown lies heavy – especially when the person wearing it is plain spoken and direct. Feelings get hurt, and when the moment arises, jackals pounce. That’s especially true when Bishop was so closely tied to the failed Ryder Cup effort in Scotland. It is much more likely that Bishop is paying the price for failing to build a coalition through wooing, wining, dining, and cajoling than for calling out Poulter with mildly sexist language. Bishop did it his way, rather than deal with dilettantes more impressed with their position than driven to improve the game and association they oversee. I’m supposing a lot here based upon reports of this unpleasant and mostly unwarranted coup d’etat, but having been in many rooms with people content to fill their calendar with meaningless meetings, I know what Bishop likely faced. Boards of directors are a lot like neighborhood associations where everyone feels entitled to their own selfish agenda, and enter the conference room interested only in getting their two-cents in. The overall welfare of the group is of no interest. The purpose of speaking in meetings is rarely to communicate, but to impress – or worse – vent. Bishop wanted to help professional golf evolve, and maybe enjoyed a bit of the celebrity that came his way as the result of his position. That was his greatest sin, and those who were jealous decided to attack at the first sign of weakness. The biggest sin in management today is the refusal to placate the mediocre. Dopey people sitting at the big boy table are mocked at the peril of the talented. The question that needs to be asked is, if a person doesn’t contribute in a measurable way to the success or failure of the entity, how did they get their seat? The answer should scare the hell out of every reasonable person that does the work needed to move the organization forward. That person is usually a keen political operative who understands how to manage up – way up. If mocked, they are very aware of how and why things work, and unafraid to advocate the ouster of a key cog. They aren’t bright enough to understand how important some are in getting the work done, but they understand survival despite stupidity. 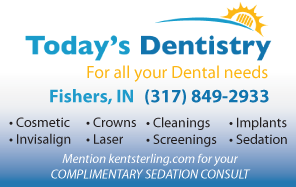 Click here to call the world’s best dentist yours – Dr. Mike O’Neil at Today’s Dentistry in Fishers. Sit through a session of the United States Senate. There is nothing more dreary and tedious, and less intellectually stimulating. Senators blather on and on about nothing, and argue over semantics in ways that drive sane and talented people to dig ditches for a living. There are senators everywhere in American business, and Bishop had no time for them – or at least not enough to win them over. Bishop’s thank you for his efforts – a record that will soon be expunged. I doubt his slight misuse of social media had anything to do with it. Am I assuming a lot without much evidence to support my theories? Yes. I don’t know Ted or the people who decided so quickly he needed to go well enough to assert any of the above as fact, but as the veteran of hundreds of meetings filling with both the smart and doltish, I know how those people operate. This smells like the result of one of those meetings. This entry was posted in Featured Story, Kent Sterling and tagged Ian Poulter, PGA, Ted Bishop, Ted Bishop fired on October 28, 2014 by Kent Sterling. Does a ten second sound byte undermine a person’s total body of work in this day and age? According to the PGA of America’s Board of Directors it does and they are going to punish Ted Bishop for his misdeeds. WOW. In this ever moving and socially driven media where does something like this take a break and let cooler minds prevail? Most likely, this is nowhere to be seen because the panic remains. In times of corporate crisis, usually the Chief Executive Officer and the Chief Elected Officer stick together and map a strategy to deal with whatever they are confronting. Apparently, this wasn’t the case with the PGA of America in this blowup and subsequent ouster of Ted Bishop. 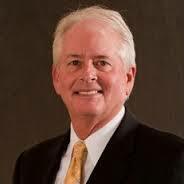 Pete Bevaqua, CEO, who according to reports worked extremely well and close with Bishop (an effective ‘Mr.Inside and Mr.Outside’) seemed to have abandoned his colleague when the heat got real hot. My question for those who are casting aspersions is where is the fury, anger and outrage that should have accompanied his Tweets and Facebook posts? I didn’t hear or see any from other allied organizations. What was the position of members of the PGA Board of Directors? According one report Dottie Pepper (who has had similar issues) attempted to assist Bishop. Did she vote for his expulsion? Hopefully, facts will emerge and Ted Bishop will get some recognition for his life-long contributions to golf and the PGA of America.